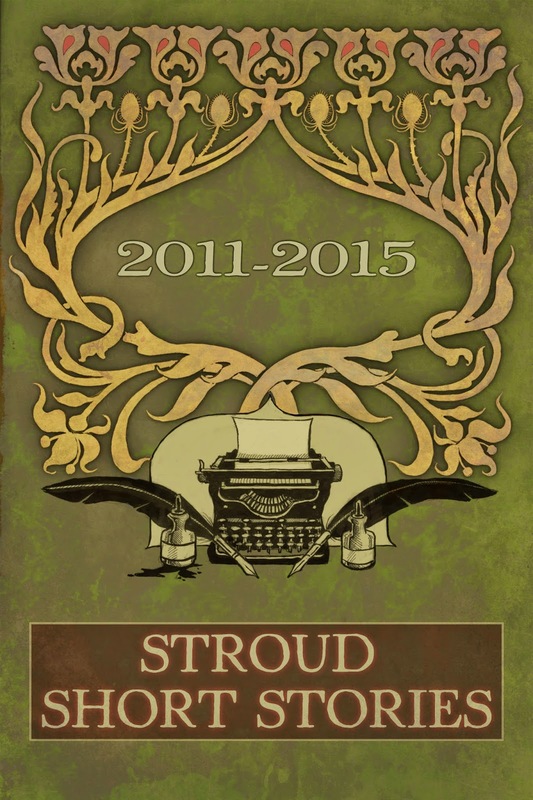 A couple of weeks ago I treated myself to the Stroud Short Stories anthology. It gathers together, ‘almost every story read at the nine Stroud Short Story events from June 2011 to April 2015.’ I’ve had a lovely time dipping in and out of this collection. It’s a good cross-section of styles, tones and genres. With an upper limit of 1500 words, and a minimum of 100 (though few are quite so brief as that), these stories are great for those short reading spaces, such as between trains; in waiting rooms; or instead of watching a pot boil. So, I hear you say, what does Stroud Short Stories offer? The event we call Stroud Short Stories (SSS) was initiated by writer and artist Bill Jones in 2011. The format is a simple but effective one. Local authors submit stories and the organiser/editor/judge chooses ten, which are read before a large and appreciative audience at the Stroud Valleys Artspace. There is no winner. The authors who have appeared on stage (and who appear in this anthology) range from rank newcomers to experienced professional authors. Holland goes on to say that the stories were ‘chosen not just for their quality, but also for how they contribute to a varied, stimulating and enjoyable evening’s entertainment.’ These, then, are performance stories. This entry was posted in Books, Reflective Reading, Story, The Short Story and tagged anthologies, Anthology, creative reading, inspiration, John Holland, performance stories, reading as a writer, Short stories, Stroud Short Stories, Stroud Valleys Artspace by cath. Bookmark the permalink. Here in Oldcastle, we are running up to Le Chiele – an arts event. Equivox, the writers group, are having an evening of stories. Similar to the Stroud event with a maximum word limit, for all ages, all genders, any experience, although there is no submission. It’s turn up and read or put your name down to read. I hope it is well attended. Thanks for the insight into the Stroud Short Story.